Japan’s reigning world kata champions Kiyou Shimizu and Ryo Kiyuna both lived up to their billing by claiming women’s and men’s gold respectively on the opening day of the World Karate Federation (WKF) Karate1 Premier League finale here. Shimizu was the overwhelming favourite in the women’s event and didn’t disappoint, remaining cool and composed as she clinched a unanimous victory over Spain's Sandra Sanchez Jaime, representing the Al Ahli Club Dubai, in the final. The Japanese star was awarded the contest by all five judges, producing another fluid display to ensure she finished the season in style. Despite a resounding loss in the final, Jaime can be satisfied with her efforts over the course of the season having earned four Karate1 Premier League kata golds, which saw her crowned grand champion in the discipline. 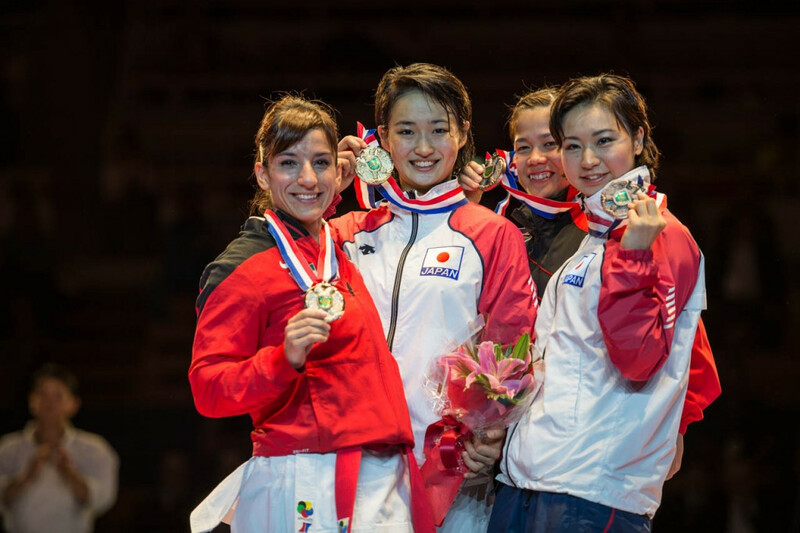 Japan also took home two bronze medals thanks to Mako Teruya and Emiri Iwamoto. Following Shimizu’s triumph, Kiyuna won an all-Japanese affair in the men’s final as he comfortably ousted team-mate Issei Shimbaba. The 2014 World Championships kata gold medallist was deemed to have performed better than his compatriot by four judges, with the other awarding the match-up to Shimbaba. 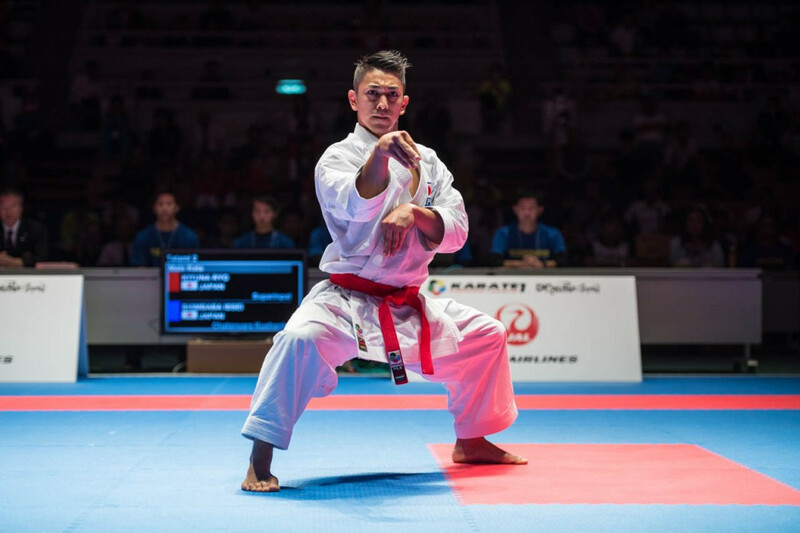 Kiyuna, who also reigned supreme in the men’s kata event during last year’s Karate1 Premier League final here in Okinawa, demonstrated near-perfect technique to top the podium to the delight of the home crowd. 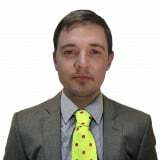 He will have the opportunity of securing another title when he competes in the men's team final tomorrow, which will be between two trios from the host nation. The Japanese medal haul continued as Arata Kinjo sealed bronze along with Damian Quintero, another Spaniard from the Al Ahli Club Dubai, who finished the campaign as the men’s kata grand champion following gold medal winning displays in Almere, Paris and Salzburg. After the individual kata competitions, the kumite competitors came to the fore with elimination and semi-final matches in the women’s under 50 kilograms, under 55kg and under 61kg, as well as men’s under 60kg, under 67kg and under 75kg. Finals in all 10 weight categories will be held during a bumper day of competition tomorrow. The action came after a brief Opening Ceremony was held, which included a traditional Japanese segment as well as speeches from the various delegates in attendance. “It truly is something spectacular for the karatekas from all over the world to come to Okinawa,” WKF President Antonio Espinós said.